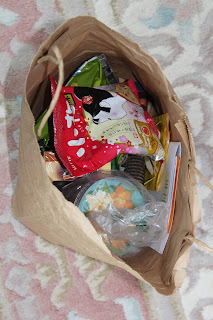 I was surprised with a bag of goodies on my last day in Honolulu, Hawaii, from someone I met once. The gesture was so random, so delightful, and made me feel so absolutely warmhearted. It didn’t matter what was inside the bag; it was the thought that someone who was virtually a complete stranger had gone shopping especially for me after only a single meeting! As it turned out the bag was filled with absolutely exquisite and delicious sweets from the island. Each time I sample the sweets I remembered with kindness the amazing woman who gifted them to me. Thank you Lisa, I loved it all! Last week, I was gifted a beautiful silk scarf, green tea, and gift cards from a teenage boy who is staying with us on weekends. Again, this was unexpected and filled me with great joy. Thank you Patric, your gift is perfect! Giving and receiving of gifts brings joy to both the recipient and the giver. The thoughtfulness, kindness and generosity that goes into a gift cannot be measured. In fact, the extraordinary feelings of both the giver and the receiver last long after the gift is either consumed or used. The goodwill of gifts go a long way to reinforce the connection that exists between us. 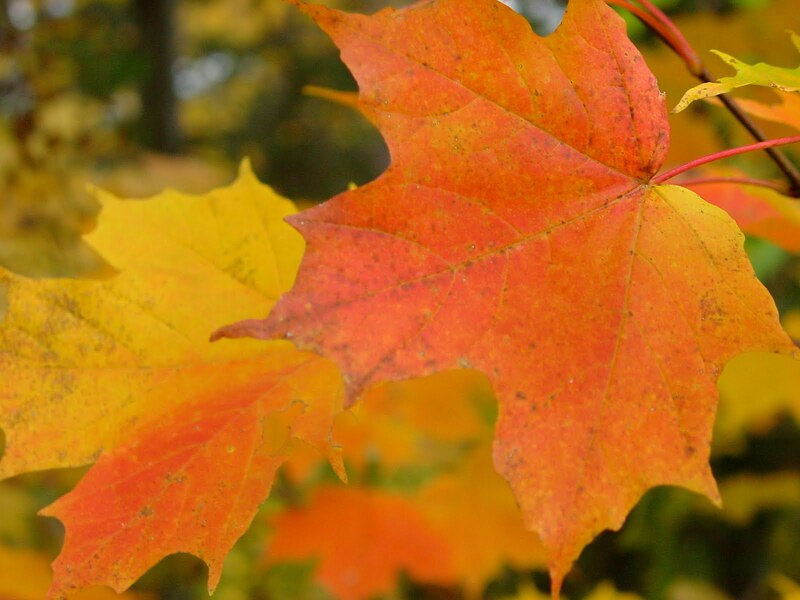 The earth’s tapestry is changing as it morphs into another season. Shortly, for a brief period, the natural world where I live will be transformed into a brightly colored pallet. Already the tips of the trees are tinted reddish, orangey, and yellowish and the night air is frosty and bitter. It’s that time of the year- in-between summer and winter. Autumn! This is my favorite of all our seasons. I enjoy how summer is tenderly put to bed. But before the big sleep, there is an eruption of activity abound. Starting with the foliage display with its’ bright and vivid colors, and the smell of the cool fresh air. And the fury of activity as the animals prepare for hibernation. But for me, the most noticeable indication that summer is almost over is the sound of the migratory birds as they settle on the river before continuing their journey south. Each morning hundreds of geese will descend on the river at once. Even before I wake up I hear their chorus, which sounds much like an orchestra tuning their instruments before a concert. Yeah, it is not a pleasant sound. Nonetheless, this is the music for the closing of the season, and I know they'll be back to open the season come Spring. When we were in Hawaii and mentioned that we were from Canada, the comment was wistfully “four seasons”. To have distinct seasons makes us unique in the eyes of those who only experience green and greener no matter the time of the year. We get to experience all the colors, green, yellow, orange, brown, and white. Albeit, white being a couple of months too long for my liking. Still, having four seasons is brilliant because at the end of a particular season there are clues that the season is coming to an end and another is about to begin anew. The change keeps us in the moment. As for the end of summer here, when the colors change from green to golden and bright red it’s time to bunker down for a long cold white season. Time to take out the winter clothing and warm blankets. Time to clean the garden, put the water hose and summer toys away, and bring out that snow shovel. Last crop of the season! And it’s time to select some great books, collect firewood, candles, and sweet ingredients for making a killer hot chocolate. You get the picture. Winter, I'm a ready for You! Our last few days in Hawaii were spent in Honolulu. The transition from a beautiful 2600 square feet beachfront home to a 550 square foot suite, not on the beach, was an adjustment to be sure. I kept thinking, in our "second home" we had so much room. Had we not stayed in Kauai, we would have been blissfully content with our accommodations, but as it was the change was disappointing. Still, we were able to get over it and enjoy the remaining days in beautiful, sunny, Hawaii. The reason we were in Hawaii at all was because I was scheduled to make a presentation at Healing Our Spirits World Wide. So not only did I have to return to Honolulu but I also had to turn my mind to the conference. I was anxious about my presentation because my co-presenter cancelled due to a scheduling conflict and another person was taking her place whom I had not previously present with. Even more importantly he had not asked me for any of the preparation materials or proper meeting to review the material I was going to cover. In the end, he didn’t contribute anything of value. In addition, a day prior to my presentation I spoke to one of the organizers of the conference who expressed her concern that although there were three of us from the same organization presenting, my presentation was the only one directly related to our institution. This was an issue because our institution started the Healing Our Spirit Conference, which was held in Edmonton, Alberta in 1992 with 3,200 participants from around the world, and we only had a minor presence at this conference. I immediately decided to rectify the situation by changing my presentation slightly and by inviting the CEO to present with me. Big mistake! We actually needed more time to review the material and organize our presentation. The fault rest with me because I didn’t make more of an attempt to meet with her, and I made the change at the last minute. Excuses aside, I was really disappointed with the presentation and must take responsibility for the end result. However, all was not wasted I did meet old friends and made some new friends. At the conclusion of my session, I received some positive feedback. And there exist a strong possibility that I may have enrolled some international students to take our courses. I sure hope so.